Learn to drive with our local, fully qualified, professional driving instructors. Our driving lessons in Whitby provide expert tuition, excellent first time pass rate & our solid reputation for excellent customer service will help you pass your driving test with confidence. We have been offering driving lessons in Whitby for many years now. Learn Driving UK is very pleased to be able to offer quality driving lessons to our customers. Whitby is steeped in history and an iconic place to live, work, relax and learn to drive. 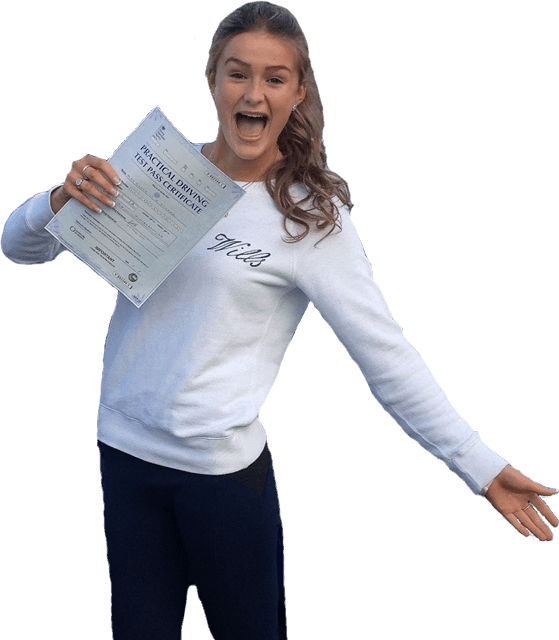 Our driving test pass rate in Whitby is high as our driving instructors know the area well and recognise the standard required for a driving test pass. You can be sure of a professional, local service at very competitive prices. Unless you are quite experienced, expect to start your driving lessons in Whitby, steadily, progressing at a rate you can cope with. Local housing estates give us the nursery routes required to build confidence when negotiating junctions, roundabouts and practicing manoeuvre exercises (parking and reversing). Your driving lessons in Whitby will progress to busier roads quickly. The A171 (Gusiborough Road), A174 passing Whitby Golf Club to Sandsend and A169 (Sleights) are busy, arterial routes requiring concentration and care. They also feature on driving test routes around Whitby. Whitby town centre can be quite demanding especially near the station and harbour due to the many visitors to the town. Rest assured, you will build gradually to a safe and competent driver having received expert tuition from your LDUK instructor. Whitby has its own driving test centre at Green Lane, close to the town centre. The driving test centre is based in Whitby (Unit F11, St Hilda’s Business Centre, Green Lane, Whitby, North Yorkshire, YO22 4ET). This gives you an added advantage of being able to take your driving lessons around Whitby and the area you will be taking your test. With calm, patient and highly trained instructors Learn Driving UK is looking forward to helping you achieve your driving goals. Our team of local driving instructors all have excellent local knowledge to help you pass your driving test in Whitby. Our friendly local driving instructors are all CRB checked. We are extremely proud of the wonderful feedback we receive about our team of driving instructors at Learn Driving UK. Please feel free to contact us to discuss your driving lesson requirements. We Are Incredibly Proud Of Our Customer Feedback! "Convenience and availability mattered to me when i was looking for a driving instructor. Learning to drive was much better than i expected it to be. Kevin's teaching methods we very thorough, consistent and effective. I would definitely recommend Kevin and LDUK as i passed 1st time". My driving lessons package was bought for me by my family. Learning to drive was harder than i expected it to be at first but comfortable once i knew how and i passed at my first attempt. Kevin's teaching methods were good and worked well for me. I would highly recommend Kevin as he is very good and very patient. I was pleased with the whole thing. Time, flexibility and location of the driving instructor mattered to me when choosing a driving school. Learning to drive was better than i expected it to be. Kevins teaching methods were excellent. I would highly recommend Kevin and Learn Driving UK, very professional treatment. Perfect. I wanted a driving instructor who was reliable, patient and had good knowledge. Learning to drive was easier than i thought and Kevin told me lots of information and i passed first time. Kevin's teaching methods were really good. Each lesson was good and i learnt new things. I would highly recommend Kevin because he is reliable. I wouldn't change a thing it was all good. The type of car that i was going to learn to drive in was important to me and the cost of lessons. Location of the driving instructor and his availability was also important. Learning to drive was more difficult than i expected it to be, but i passed first time. Kevin's teaching methods were good and he was always calm. I would highly recommend Kevin as he is very knowledgeable and a good driving instructor. I wanted a driving instructor with experience. Kevin had good reviews which influenced my decision. Learning to drive was harder than i thought it would be. I passed first time in Scarborough. I would highly recommend Kevin, he is so nice and calm with students. I wanted a driving instructor who was calm and flexible. I found learning to drive challaging but i passed my driving test first time with only one driver fault. Kevins teaching methods were very good and i passed first time. I felt at ease and very well taught. I chose Kevin because of previous reviews and the type of car. I found learning to drive very challenging initially but it came together well and i passed first time with only 1 driver fault. Kevin's teaching methods were good as i was given the choice of helped, prompted or independent driving. I was taught to drive rather than just criteria to pass a test. I just google driving schools in Whitby and they called up to find out more, they seemed friendly and not too expensive. Learning to drive was much easier than expected. It was easy to learn the basics but took longer than expected to be consistent in using that knowledge during my driving. Kevins teaching methods were very good. Kevin was friendly and patient yet clear about what i needed to implement. I am very satisfied with the experience. I passed first time with Kevin Winship, he was very good and i only had 1 minor. Calm and easy to understand. I would highly recommend Kevin as everything was very good. Kevin was recommended to me by a friend. Learn Driving UK had good prices and Kevin could always fit me in. Learning to drive was as i expected, i thought it would be hard. Kevin was very helpful. I could drive independently but also get the help i needed. I would highly recommend Kevin, it worked really well for me. He was very reliable. I passed my driving test at the first attempt in Scarborough. I only had 3 minors. I found the lesson prices were good value for money. Kevin Winship was very helpful and didn't get stressed. Learning to drive was a lot better than i expected. Kevin was always really helpful. I am dyslexic, and Kevin helped me with rights and lefts etc. Kevin had very good teaching methods. I would highly recommend Kevin and Learn Driving UK as they are very helpful and nice people. I chose Learn Driving UK because there success rate was high. How much lessons cost was very important to me and LDUK were nice and cheap. Kevin was very friendly and a nice instructor. Learning to drive was a lot easier than I initially thought it would be. Kevin was so relaxed and friendly and I passed first time. I would highly recommend Learning to drive with Kevin, it was a great experience. I am really enjoying learning to drive with Kevin of Learn Driving UK, I'm progressing faster than I thought I would. Kevin my instructor is very patient with me. Kevin builds my confidence whilst I am driving, which makes me feel that I am doing everything correctly. I would certainly recommend Kevin and Learn Driving UK. Kevin made my lessons very comfortable and stress free. I passed my driving test with flying colours. I would definitely recommend Kevin at Learn Driving UK as the price is competitive and the teacher is friendly. I am now able to drive everywhere. I saw Learn Driving UK on the internet and I travelled from Hull to Scarborough so that I could have lessons. I found Kevin to be very patient and informative. Kevin put me at ease straight away which helped me concentrate. I now want to advance my driving skill and become a really great driver. Thank you kevin for getting me through my driving test at the first attempt. I came to Learn Driving UK as i thought the website was very friendly and easy to use. Kevin was a great teacher, he let me learn at my own pace and i passed first time. I'm now looking forward to taking some Motorway and Dual carriage way lessons so that i can go and visit my mum in Manchester. It was a pleasure learning to drive with Kevin of Learn Driving UK. I would recommend Kevin to other pupils as i was really happy with my driving lessons. I'm looking forward to getting my own car and driving on my own. Thank you Kevin.